DoPremium products are the first choice whenever you expect very special performances in lifting and lashing. In the respective market segment, DoPremium represents the optimum in performance, e.g. through a particularly high working load limit with low dead weight, extremely long service lives, particular flexibility, high selvedge stability or high temperature resistance. We achieve that through the use of special fabric designs, components of extraordinarily high quality, outstanding rope designs or high-performance fibres such as Dyneema®. 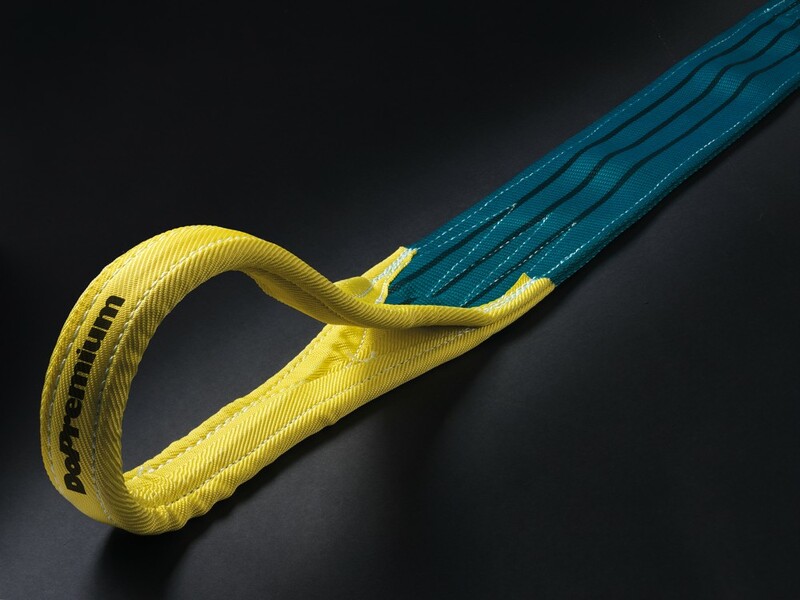 In addition to these “inner values”, DoPremium also stands out visually from the standard: wherever technically feasible, we use turquoise webbing with the DoPremium logo or equip the product with a turquoise DoPremium banderole. So you can recognise our top-class products at a glance. 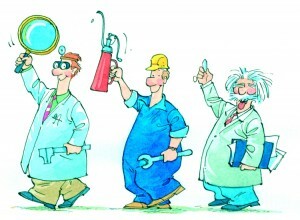 And the great feeling of working safely with the best products comes with it. In contrast to the standardized safety factor of 7, DoPremium special constructions meet a safety factor of approx. 10. Its fully reinforced eye offers full protection for use with crane hooks; that is to say in the area causing the most wear. Optimized web construction of belt and edge allow for longer endurance against stress caused by abrasion, compression, and by edge tear. Higher temperature resistance up to 150°C. DoPremium roundslings are an improvement over our standard roundslings. The covers are made of thicker, improved webbing that is more abrasion resistant and less prone to wrinkling. In addition, each roundsling comes with the carrying capacity WLL woven into the fabric for easy, permanent identification. These roundslings offer the best performance, safety, and service life of any roundsling we have to offer. Please contact us for pricing. When lifting slings with extreme high carrying capacities are needed roundslings made with Dyneema® are the best choice. 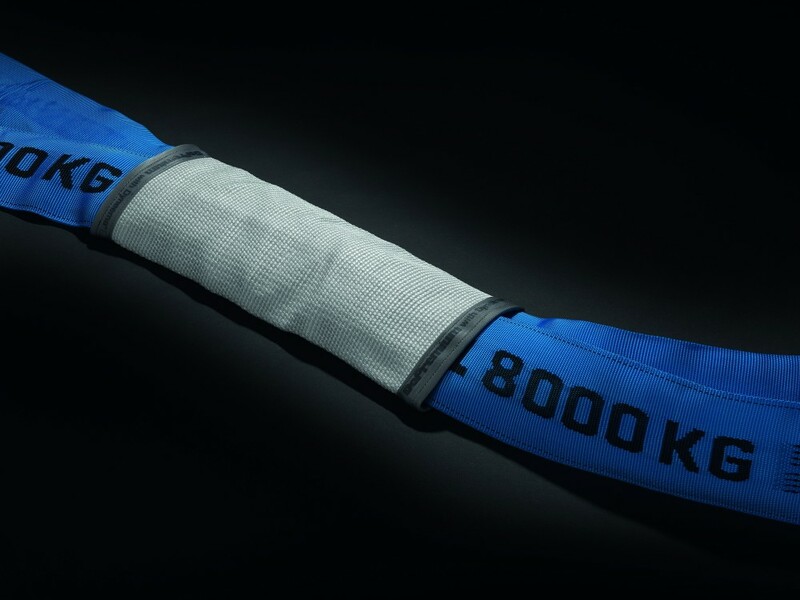 Through this high performance fibres an own weight reduction of 60% is achieved. The lower elongation of Dyneema® in comparison to Polyester-fibres leads to an improved dimensional accuracy. This becomes relevant when lifting asymmetrical loads. These ratchet tie downs are made for the roughest purposes. 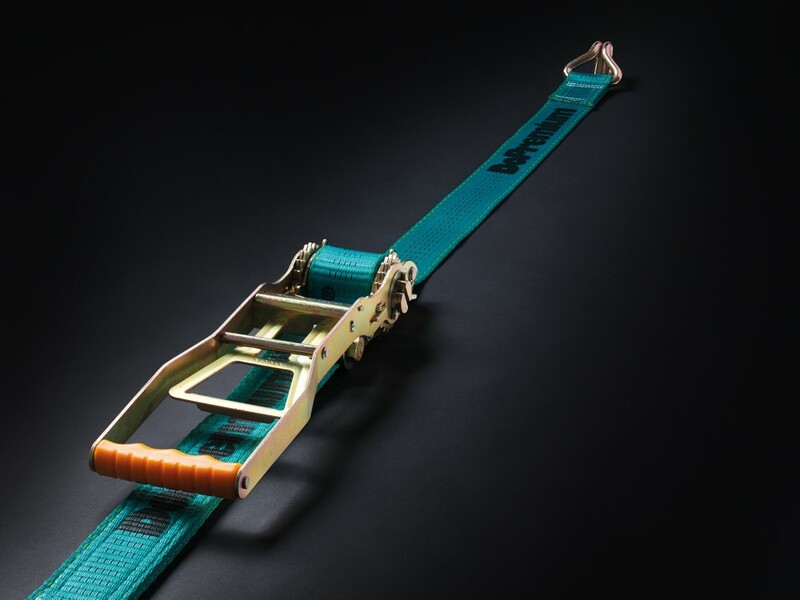 DoPremium with Dyneema®-Tie downs can be used without additional webbing protector because the Dyneema® webbing is highly resistant against cuts and abrasion. The longer lifetime saves money! 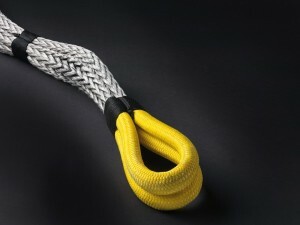 The powerhouse for direct lashing with LC 5000 daN and only 50 mm webbing width. This extraordinary high lashing capacity is achieved by high value components in combination with Dyneema webbing. 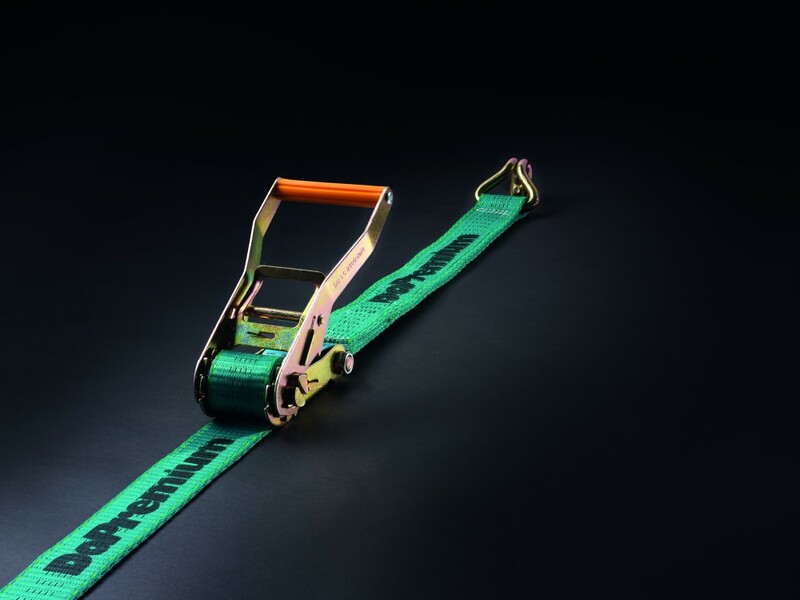 Substitute your lashing chains and benefit from low weight and easy handling! The new lashing hooks with additional Delta locking clamp achieve extremely high tensile strengths and offer maximum safety in use. 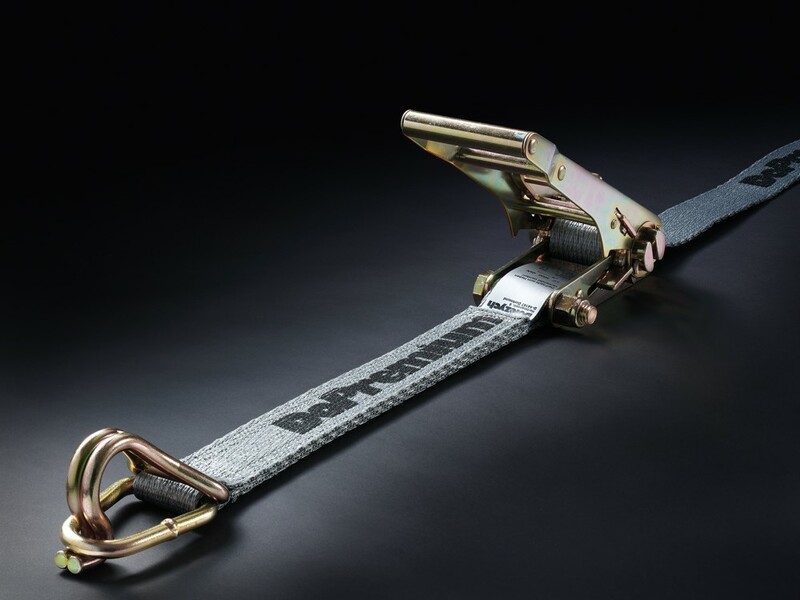 The resistance of the Dyneema lashing strap beats conventional lashing straps by miles. 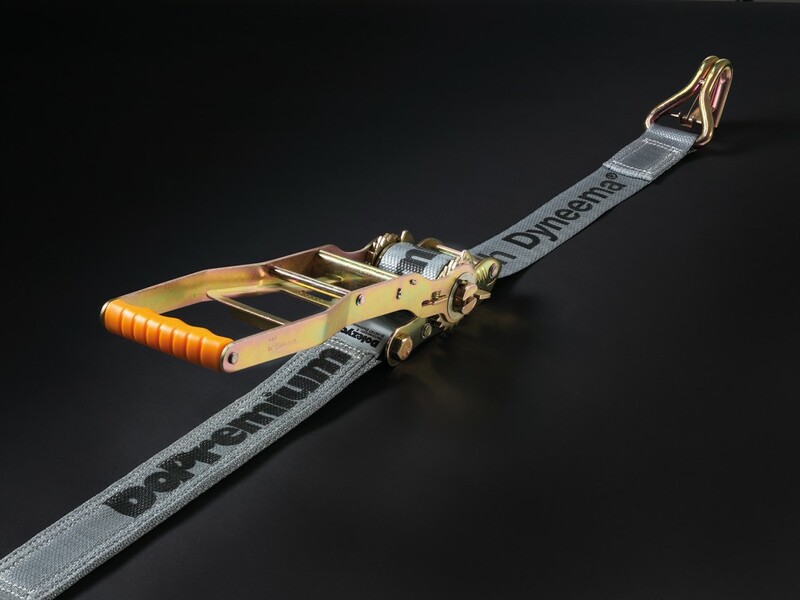 The DoPremium heavy-duty strap achieves the strength of a 75 mm-wide lashing strap and thus also rivals 8 mm grade-10 lashing chains – with a clear advantage in the disciplines handling and innovation! With the 6×61 IWRC rope construction, you have a very flexible full steel rope which is significantly superior to a standard rope sling with fibre core as regards the breaking force. The „Flemish Eye“ press connection provides a solid steel clamp with high abrasion resistance. Sie kann auch im Heißeinsatz unter Berücksichtigung des entsprechenden Tragfähigkeitsverlustes verwendet werden. The cone form of the splicing prevents jamming of the lifting element when pushing through under the load. The rope slings are made completely according to the European color code as known with web slings and roundslings (DBGM). With the three measurement in the easily distinguishable traffic-light colors green, amber and red and a load capacity from 2 to 5 t, the range of usual transport tasks is covered. 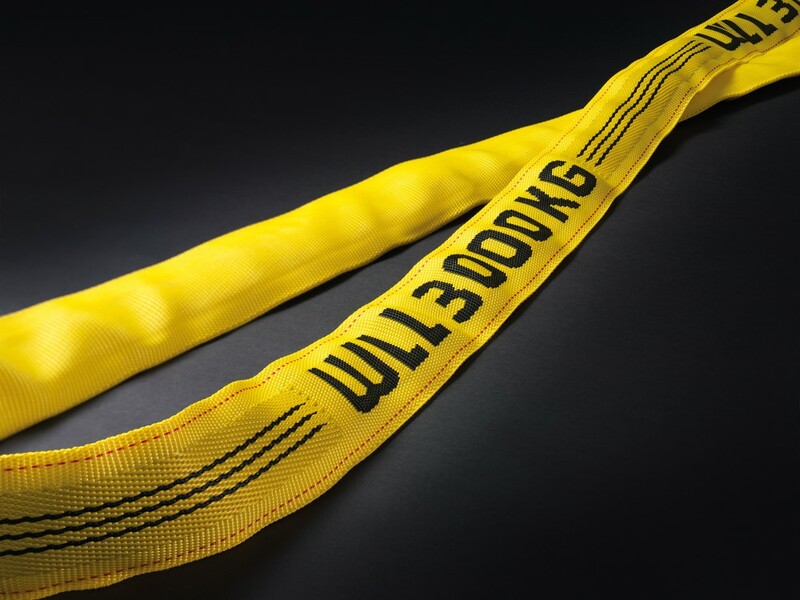 Our 12-times braided Dyneema®-lifting slings are as standard available up to WLL 100t. Higher carrying capacities up to 400t are possible. These ropes are lightweight and handy. Rigging has never been easier! Dyneema® protection tubes offer the optimum sharp adge protection for webslings and roundslings. 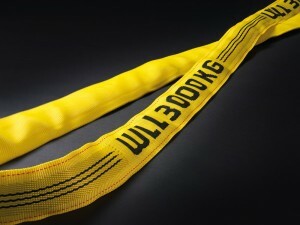 This clearly extends the lifetime of textile lifting slings and allows thier use at load with sharp edges at all. Innovative: The elastic PES-tube for tie downs reliable protects the webbing against wear and tear. The hose is particularly thin and flexible and can simply be wound up with the loose end. 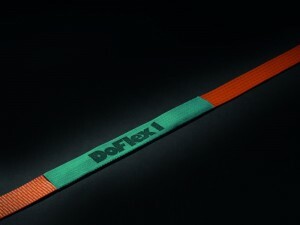 Extra tough; The elastic weaving construction made of Dyneema® fibres makes the DoFlex2-Protection tube to an ideal webbing protector for all kind of purposes. Dyneema® – the strongest fibre in the world is the premium brand for ultra-high molecular weight polyethylene (UHMW-PE) from DSM. 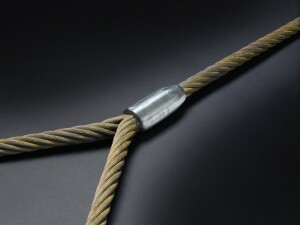 The Dyneema® fibre offers maximum force combined with minimum weight. Weight for weight it is up to 15 times stronger than quality steel and up to 40% stronger than an aramid fibre. Thanks to its low density Dyneema® floats on water, is extremely resistant and insensitive to moisture, UV radiation and chemicals. We use the Dyneema® fibre in webbing, round slings and cut-protection hoses as well as in fibre ropes. Slings and protective hoses manufactured from Dyneema® are stronger and lighter than traditional materials and at the same time more flexible and easier to handle. 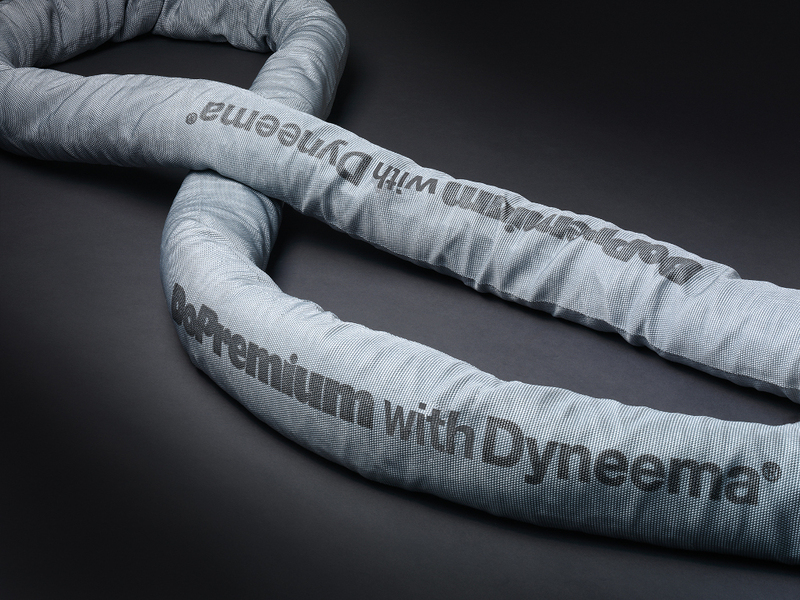 To put it briefly: when it matters – DoPremium with Dyneema®. Dyneema® is a registered trademark of DSM. The unauthorised use of this trademark is forbidden. Haven’t found what you’re looking for, yet?